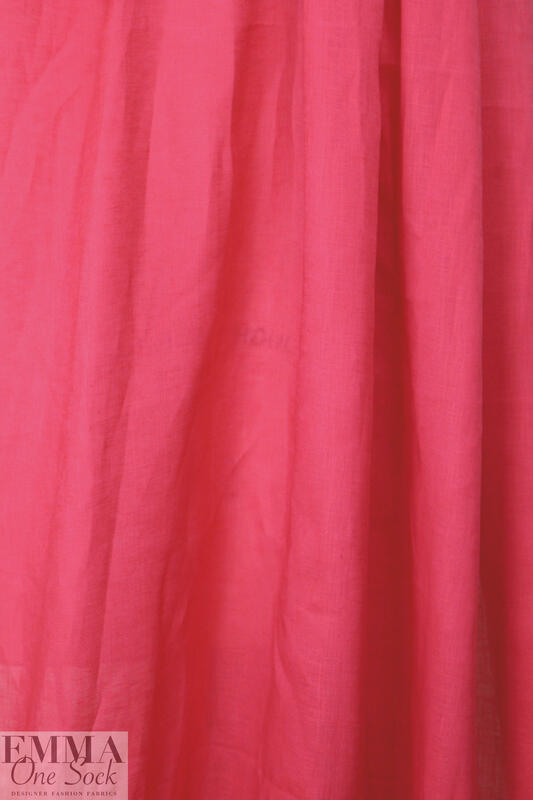 This is a lovely quality lightweight linen in strawberry (PANTONE 17-2033). 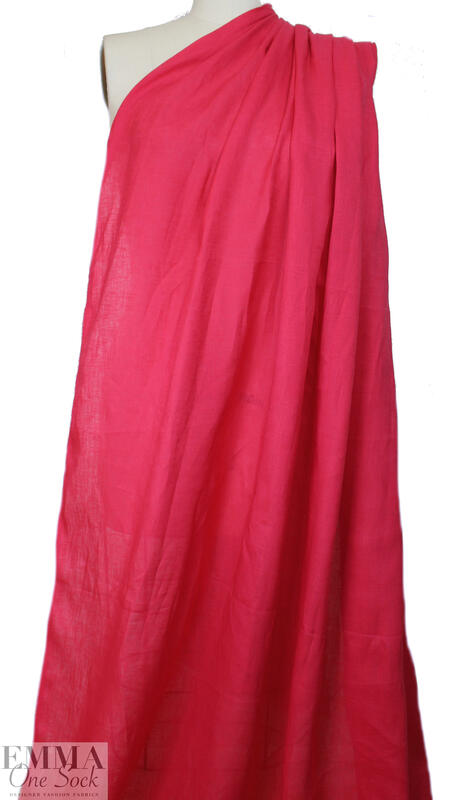 It is light weight, with some crispness in the drape, semi-sheer, and suitable for shirts, tunics, tops, etc. 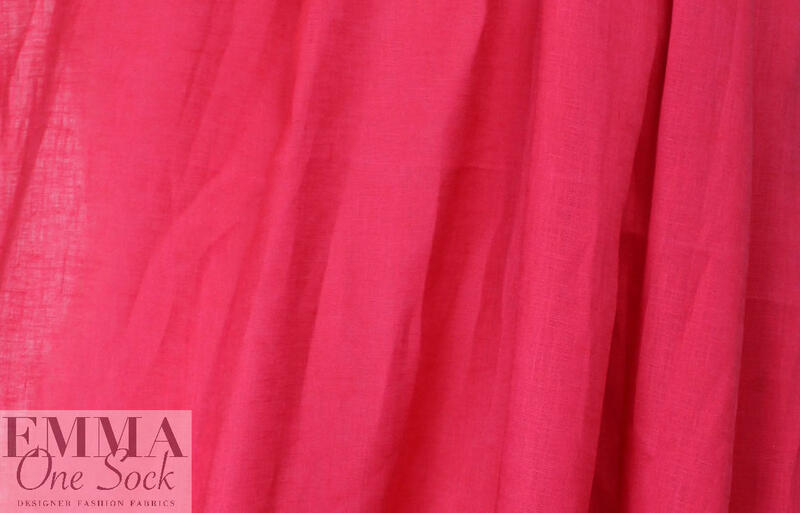 Dry clean or hand wash and lay flat or hang to dry.